Attleboro, 66 @ Milford, 53 – Final – Attleboro exploded for 26 points in the second quarter, turning a four-point lead after one quarter into a 39-20 advantage by halftime. Mason Houle hit three of his six triples in the second quarter and finished with a career-high 25 points to lead the way for the Bombardiers. Kevin Velazquez added seven of his 12 points in the quarter and grabbed nine rebounds, Tim Callahan added nine points and eight rebounds and Qualeem Charles finished with eight points and 13 rebounds. Brendan White had a team-high 17 points for the Hawks. Oliver Ames, 58 @ Canton, 65 – Final (OT) – Canton junior Kyle Fitzgerald tied the game with a free throw with two seconds left in overtime, and the Bulldogs went 12-for-16 from the line in the extra period to prevail with a win over Oliver Ames. Fitzgerald’s (eight points) free throw knotted the score at 53-53. Canton did not score a field goal in the extra four minutes but was successful from the free throw line. Devin Foster had a team-high 18 points and 11 rebounds, Ryan Lentol added 12 points and both Matt Giglio and Eric Mischler finished with 10 points apiece Sean O’Brien hit five threes and finished with a team-high 17 points while Amari Brown added 14 points. King Philip, 57 @ Foxboro, 61 – Final – King Philip made a late push to get back into the game but Foxboro made 12 of its 18 makes from the free throw line in the final frame to secure the win. Foxboro led 38-37 going into the final frame and used a 10-0 run to take a 52-44 lead with under three minutes to play, but KP refused to go away. KP cut it to three, 56-53, with 21 seconds left but Foxboro was able to hold on, getting clutch free throws from senior Anthony Mollica (11 points). Junior Brandon Borde added 17 points and sophomore Kevin Gallagher finished with 13 points for Foxboro. KP senior Bruce Saintilus had a game-high 18 points and junior Alex Fritz had 16 points. Franklin, 74 @ Sharon 35 – Final – Franklin jumped out to a 16-11 lead after eight minutes and then poured in 27 points in the second quarter to record a win on the road at Sharon. Jalen Samuels (eight points), Chris Edgehill (10 points), James Marsh (11 points) and Brayden Sullivan each connected on a three in the second quarter. Will Harvey added 12 points, including 10 in the opening quarter. Mansfield, 45 @ North Attleboro, 43 – Final – North Attleboro scored 17 points in the fourth quarter and had a chance to tie or win the game but couldn’t get the last shot to fall. Mansfield held a 43-40 lead before sophomore Matty Boen hit a free throw to push it to four with 26 seconds left. North Attleboro senior Josh Montague (11 points) responded with a three-point play with 18 seconds left to make it 44-43. Sam Stevens pushed Mansfield’s lead to 45-43 with a free throw and then North Attleboro’s three at the buzzer was just off giving the Hornets the win. Mansfield led 25-19 at half and each team scored seven points in the third as the Hornets led 32-26 going into the final frame. Damani Scott had 12 points and TH Guy added 10 points for Mansfield. Taunton, 70 @ Stoughton, 61 – Final – Click here for a recap and photo gallery of this game. Milford, 27 @ Attleboro, 54 – Final – Attleboro had 10 players score in a big win. Liv McCall paced the Bombardiers with 11 points and Nyah Thomas chipped in with 10. Emma Lawrence was Milford’s top scorer with 11 points. Canton, 65 @ Oliver Ames, 56 – Final – Click here for a Recap and Photo Gallery from this game. Foxboro, 49 @ King Philip, 53 – Final (OT) – The Warriors battled back from as many as 15 points down in the second half to force overtime against the defending Div. 2 state champs, before outscoring Foxboro 8-4 in the OT period. Shannon O’Connor scored 18 points and Julia Leroux added 10 for KP, which has already doubled ast year’s win total and is only two wins from clinching a return to the state tournament. Katelyn Mollica scored 22 in the loss. KP coach Amy Siggens credited the team’s defensive effort for the win, saying that it kept stepping up and being aggressive in the second half to limit the league’s top offensive team to 15 points below its season average in regulation. Sharon, 25 @ Franklin, 53 – Final – Franklin continued its unbeaten start to league play with a dominant second half. Ali Brigham led the way again for the Panthers with 18 points and Megan O’Connell added 15. Telishya Herbert scored 10 points for the Eagles. North Attleboro, 39 @ Mansfield, 48 – Final – Mansfield had the lead from the start, but North kept things close throughout. The Hornets used a 19-13 fourth quarter to seal the win. Maggie Danehy recorded another double-double for the Hornets with 13 points and 15 rebounds, while Mady Bendanillo and Emily Vigeant each added 12 points. Julia Feid scored a dozen points to lead the Rocketeers and Regan Fein scored nine. Stoughton, 68 @ Taunton, 46 – Final – Shyanne Trinh scored a team-high 16 points to get the Black Knights back on track with a road win. Aliyah Wright scored 15 and Sydnee Hyacinthe had 13 in the victory. CANTON, Mass. 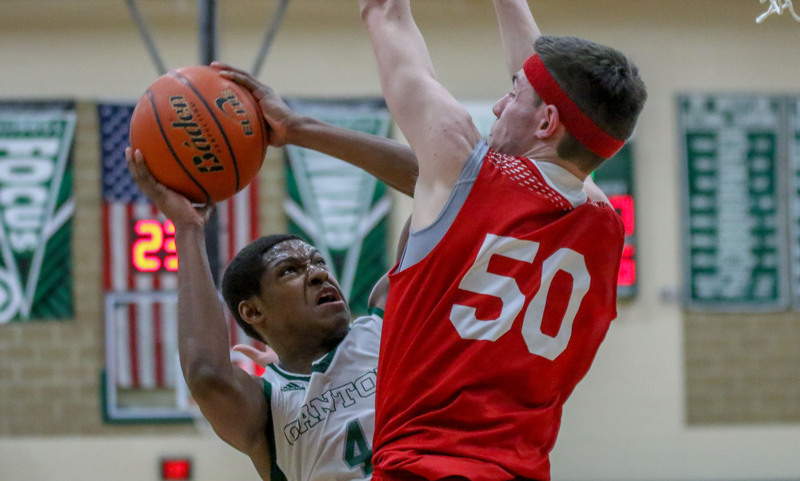 – Holding an eight-point lead entering the final eight minutes of the game, the Canton boys basketball team did all the little things to extend that advantage and hold on for a win at the end. The Bulldogs used a pair of steals and a pair of offensive rebounds to open the fourth with a 7-0 run, jumping out to its largest lead of the game at 45-30, and then held off a late push from visiting North Attleboro over the final three minutes to secure a 58-54 victory. North Attleboro started with possession trailing 38-30 in the fourth but Ryan Lentol (nine points, seven rebounds) came up with a steal that led to a layup from Kyle Fitzgerald (11 points, nine rebounds, four assists). The Rocketeers tried to go down low on the ensuing possession but Devin Foster (21 points, seven rebounds) came from the weak side to knock it free. Canton’s first shot was blocked by Jake Petersen but Fitzgerald grabbed the offensive board and found Foster for a triple. After an empty trip from the Big Red, Canton missed a triple, but Foster was there for the putback to put the Bulldogs ahead 45-30 with six minutes to play. Canton had half of its eight offensive rebounds in the final quarter and out-rebounded the Rocketeers, 10-6, in the final frame. The Bulldogs led by 11 with just over a minute to go but the Rocketeers continued to battle to the final white. Josh Montague (15 points) hit free throws and followed with a strong take to the Tim to make it 51-44 with a minute to go. Canton pushed the lead back to 10 behind free throws from Lentol and Foster, but Montague answered with two free throws and junior Ethan Friberg connected on a three to cut the deficit to six with 21 seconds left. Canton also applied a press at various times in the second half, mostly intended to keep the pace slow while holding the lead. North forced a turnover but couldn’t convert and Foster tacked on two more free throws to make it 57-49. Josh Porter added five points over the final seconds to get North within four at the buzzer. Canton’s eight-point lead to start the fourth was the result of a strong third quarter. Leading by two at halftime, the Bulldogs opened the second half with an 11-1 run. After Foster was held to six points on two made field goals in the first half, Canton made it a priority to get their leading scorer looks early on. Foster answered the challenge, driving to the basket on Canton’s second possession for two. After a miss from North, Foster again was able to get into an isolation situation and used the glass to sink another layup. 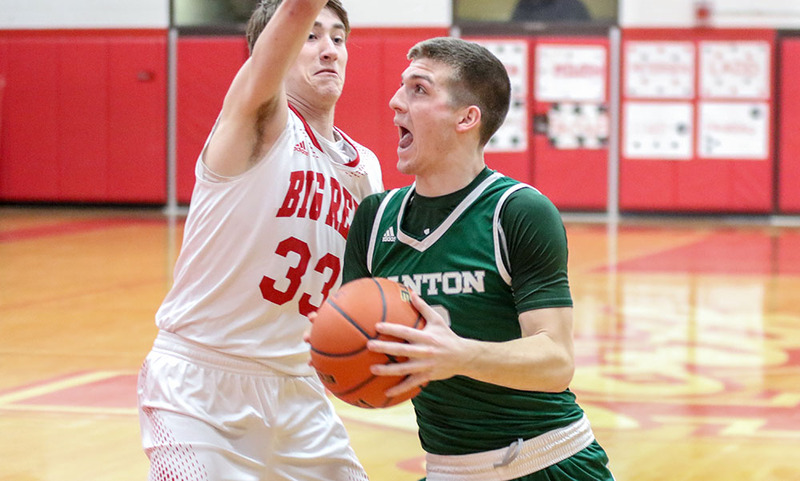 Canton came up with two offensive rebounds on its next trip, the latter leading to a corner three from sophomore Eric Mischler and the Bulldogs suddenly led 30-21. Foster came up with a steal, and despite losing possession for a split second, grabbed it back and went in for two. North got on the board via a free throw from Friberg but Canton countered with a nice feed from Lentol to a cutting Matt Giglio (13 points, four rebounds) and the sophomore finished to extend the advantage to 34-22 halfway through the quarter. North responded with an 8-4 run over the final four minutes to stay within striking distance going into the final quarter. To begin the game, Canton built an 8-2 lead over the first four minutes but the teams combined for 20 points over the final four minutes of the first. 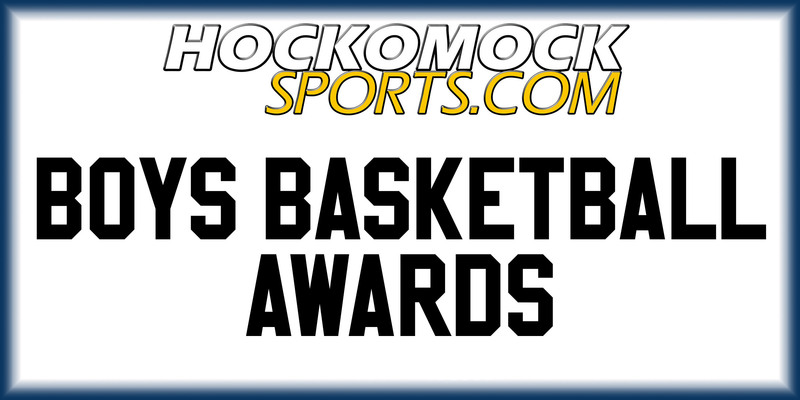 Foster and Giglio each had a pair of threes in the frame while five different Rocketeers hit a field goal, including a three from Nate Gonsalves (12 points). Canton led 16-11 after one. The Rocketeers’ defense shined in the second quarter and helped the visitors get back in the game. North limited Canton to 2-for-14 shooting in the frame, held the Bulldogs without a three-pointer, and forced three turnovers. Meanwhile, North’s offense got into gear scoring all of its points over the final 5:43, including a 7-1 run to finish the quarter. Gonsalves bookended the run with a triple and a layup while Petersen and Friberg hit free throws and sophomore George Ladd (eight points, six rebounds) converted with a nice move in the post. North trailed 23-21 at half. Canton boys basketball (6-2 Hockomock, 7-3 overall) is back in action on Tuesday when it travels to Taunton. 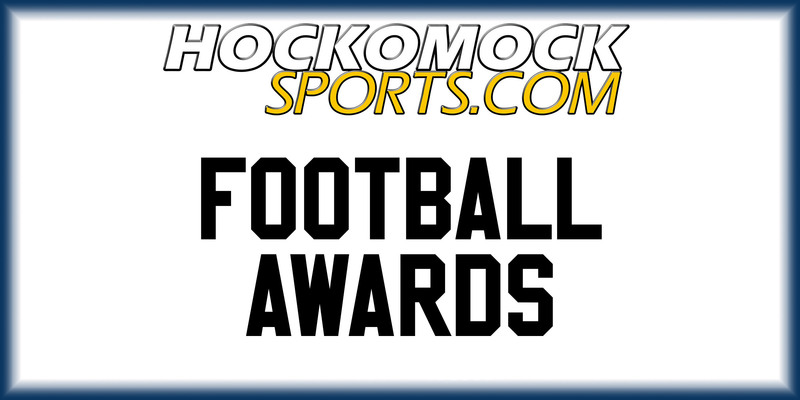 North Attleboro (3-5, 5-5) will visit King Philip on the same day. Attleboro, 79 @ King Philip, 60 – Final – Attleboro outscored King Philip 29-10 in the second quarter to turn a deficit into the separation it needed for the rest of the way. The Warriors held a 20-18 advantage after one but Attleboro’s offense poured in 29 points in the second quarter to take a 47-30 lead into the break. Junior Bryant Ciccio scored 10 of his game-high 20 points in the second frame while senior Kevin Velazquez added seven of his career-high 19 points in the second. Attleboro junior Qualeem Charles shined with 16 points and 15 boards. King Philip’s Tim Nault, Bruce Saintilus, and Sam Sesay each scored 12 points. Canton, 54 @ Sharon, 38 – Final – Canton turned it on the fourth quarter, scoring 21 points to pull away from a pesky Eagles team to earn the win. Canton led 18-13 at halftime, and took a six point advantage at 33-27 going into the final quarter. Devin Foster had five of his team-high 17 points in the final quarter and grabbed a total of 15 rebounds while sophomore Eric Mischler got going in the final frame with 10 of his 13 points coming in the fourth. Ryan Lentol added nine points and Kyle Fitzgerald scored all seven of his points in the second half. Sharon’s Ben Kaplan and Aidan each scored nine points for the Eagles. Foxboro, 66 @ Stoughton, 77 – Final – Stoughton had its been offensive performance of the season, scoring a season-high 77 points on its way to a win over visiting Foxboro. Stoughton’s four point lead after one quarter (19-15) grew to nine by half as the Knights led 45-36 at the break. Foxboro cut the deficit to four by the end of the third, 60-56, but Stoughton outscored the Warriors 17-10 in the final quarter. Stoughton junior Obinna Ugqwuakazi connected on 13 field goals for a career-high 27 points and hauled in 18 rebounds to pace the Black Knights. Senior Kevin Dixon scored 16 of his career-high 18 points in the second half and five more Stoughton players scored five or more points. Foxboro junior Will Morrison hit six three-pointers for a career-high 18 points to pace the Warriors. Taunton, 45 @ Franklin, 50 – Final – Click here for a recap and photo gallery of this game. Oliver Ames, 44 @ Mansfield, 64 – Final – Click here for a Photo Gallery from this game. Mansfield broke the game wide open in the second half, thanks to Tommy Dooling’s outside shooting. Dooling hit six of his seven three-pointers after halftime, including four in the third quarter alone, and finished with a game-high 21 points. T.J. Guy scored 11 points for the Hornets, including six in the fourth quarter, and Damani Scott added nine points. Amari Brown tried to keep things close with 10 points for the Tigers, including eight in the third quarter, Sean O’Brien scored nine points and Ethan Eckstrom added eight in the loss. North Attleboro, 53 @ Milford, 52 – Final – North Attleboro senior Nate Goncalves (11 points) connected on a pair of free throws to put the Rocketeers up three and that ended up the difference as Big Red held on for a one-point road win at Milford. After Goncalves’ put North up 53-50, the Rocketeers got a stop but Milford senior Brendan White (10 points) converted an offensive rebound to make it a one-point game. North missed the front end of a one-and-one but Milford’s halfcourt shot at the buzzer was off the mark. The Rocketeers led 18-13 after one, and 27-24 at half but an 18-point third quarter from the Scarlet Hawks knotted things at 42-42 going into the final frame. Senior Josh Montague (10 points) had a big three in the fourth and senior Jake Petersen scored half of his eight points in the final quarter. Senior Matt Seavey added a career-high 12 points for North and junior Ethan Friberg finished with 11 points. Junior Colby Pires and sophomore Jordan Darling each added 10 points for Milford. King Philip, 68 @ Attleboro, 54 – Final – KP had three players score in double figures to bounce back from the loss to Canton. Faye Veilleux continued her strong start to the season with a game-high 15 points, but she got plenty of help on Friday with Faith Roy scoring 13 and Julia Leroux scoring 10. Nyah Thomas hit double figures for the second straight game for Attleboro, with 14, and Dom Garnes scored 13 and pulled down 12 rebounds. Liv McCall added 10 for the Bombardiers. Canton, 58 @ Sharon, 44 – Final – Canton caught fire from three-point range to win its fifth straight game. The Bulldogs knocked down eight threes as a team. Sydney Gallery was the top scorer for the Bulldogs with 16 points, eight rebounds, and three assists. Fay Gallery and Kiara Cerruti each scored 14 in the win, while Maggie Connolly scored six points, had seven rebounds and held Sharon’s top scorer Emma Eberhardt to two points in the second half. Eberhardt still managed 11 points for the Eagles, who had a lead after the first quarter. Evanjuline Elisma added seven points in the loss. Stoughton, 29 @ Foxboro, 58 – Final – Foxboro stayed unbeaten heading into next week’s showdown with fellow division leader Franklin. Katelyn Mollica scored 23 points for the Warriors and Chelsea Gibbons added 14. Stoughton stayed with Foxboro for a half, down only 11 at the break, but the Warriors were able to build momentum and pull away. Aliyah Wright had a team-high 13 points for the Black Knights. Franklin, 75 @ Taunton, 37 – Final – Ali Brigham was dominant again for the Panthers, scoring 26 points and pulling down 17 rebounds. Bea Bondhus added 12 points for Franklin, which had 11 different players get on the score sheet. Oliver Ames, 32 @ Mansfield, 41 – Final – Click here for a Recap and Photo Gallery from this game. Milford, 39 @ North Attleboro, 59 – Final – North continued its winning run with a strong second half to pull away from the Hawks. Reigning HockomockSports.com Player of the Week Julia Feid was the game’s top scorer with 15 points and North also got 12 from Amanda Kaiser. Jillian Michelson scored a team-high 13 for Milford. Canton, 99 @ Foxboro, 50 – Final – Foxboro’s Ben Dorman and Thomas Perry Jr. each had a win and the Warriors’ 400 relay team took first but Canton earned the win overall. Dorman won the 100 backstroke in 1:20 with Kris Andersen taking second. Perry Jr. took first in the 100 breaststroke with teammate Josh Sitte touching second. The team of Jared Roke, Anthony Amico, Jack Groves, and Joseph St. Pierre won the 400 relay in 5:17. Canton, 97 @ Foxboro, 71 – Final – Foxboro’s Pam Nelson had a pair of individual wins, Sarah Egan won once, and the Warriors swept the 400 relay but Canton recorded the win. Nelson won the 200IM (2:32) and the 500 free (6:03), Egan touched first in the 100 backstroke (1:14), and the team of Gina Oullette, Kendall Milender, Madison Feldman, and Shannon Egan won the 400 relay in 5:01.